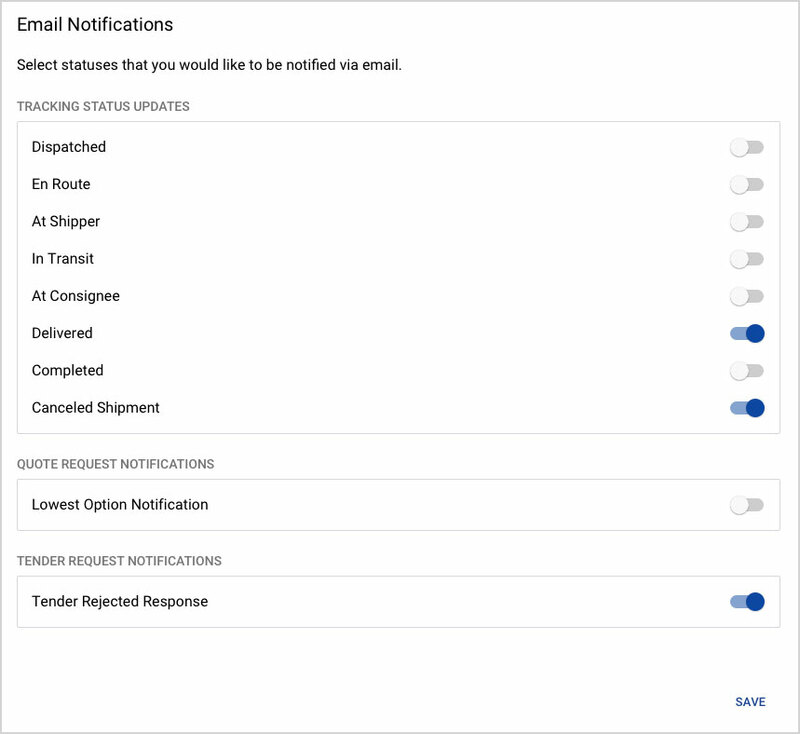 The Notification Preferences feature allows you to choose which email notifications you receive when your partner updates the shipment status, when a new lowest option is received, when a tender is rejected and more. The preferences can be updated by selecting your user icon in the top right corner of the Emerge platform, then Notification Preferences. Simply select any status or request you would like to receive email notifications on.